"Field" redirects here. For other uses, see Field (disambiguation). After finding a tuft of grass in a private location, usually by a nice view, visitors to Gnawnia and the Meadow often decide to spread out blankets and have a picnic. Unfortunately, when they try to sit down, they realize that their feast is being carried off by a multitude of mice who have posed as grass to lure them in. Because of these recent scams, the King has advised the public to be extra wary of scenic vistas, charming fruit groves, and any and all topiary. The Field Mouse is attracted only to Standard Cheese. In the Windmill location, the Field Mouse will not be attracted to Grilled Cheese. No Charms are required to attract the Field Mouse. Hunters can encounter the Field Mouse in the Meadow and Windmill locations. Attraction info and special event loot drops for the Field Mouse can be found at the individual event location pages. The Field Mouse drops the Gnawnia Egg during the annual Spring Egg Hunt. 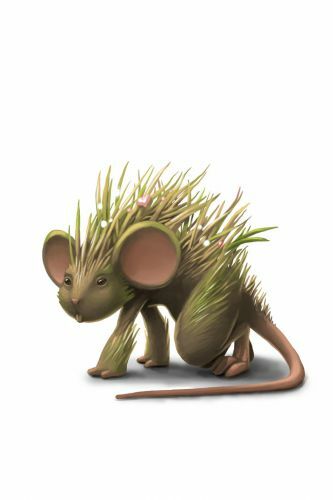 30 June 2010: The Field Mouse was introduced as part of the Windmill update. 25 June 2013: The Field Mouse gained a vulnerability to Law power type traps, with the release of Varmint Valley. 25 March 2014: The Field Mouse gained a vulnerability to Rift power type traps, with the introduction of the Rift Plane. 25 March 2014: The Goliath Field Mouse was introduced as the Rift counterpart of the Field Mouse. This page was last edited on 10 February 2018, at 02:21.